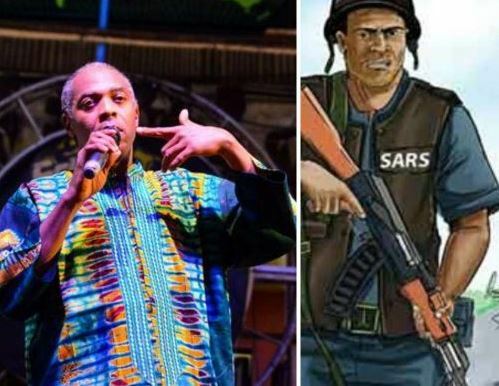 Veteran Nigerian singer, Femi Kuti, has called for a reform of the Nigeria Police Force (NPF), stating that they are meant to defend us and not kill us. The popular Nigerian entertainer said this while addressing the media at the New Afrika Shrine, Lagos where a protest against Police brutality took place on Friday, April 5, 2019 explaining that the protest is not an attempt to undermine or scrap the Police Force but to demand a reform of the system that’ll make it work in the interest of the people and not kill them unlawfully. Describing Kolade’s fatal shooting as one too many tragic excesses of the Force that should not be condoned, Kuti said a change is important.